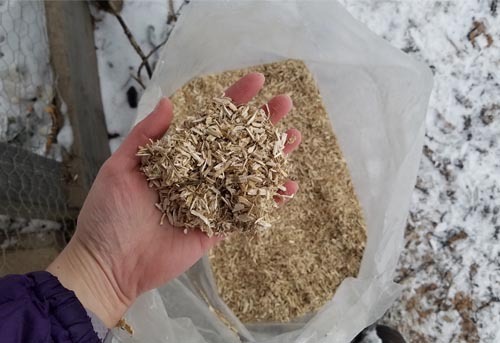 After running out of dried birch leaves this winter, I decided to try a new kind of chicken coop bedding: ground hemp. I bought the dried hemp from a local livestock feed store that also sold wood chips and straw as chicken coop bedding options. I honestly had no idea what to expect, so I went into it with zero expectations. 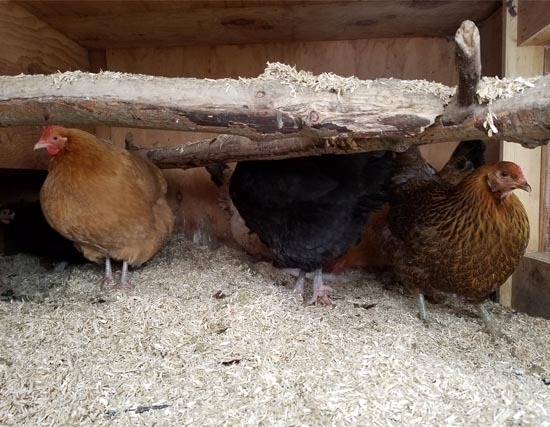 After using this new hemp bedding for a few weeks, I can safely say that love it – and so do the chickens. I posted a YouTube video review, too, here. What is hemp chicken coop bedding like? Hemp chicken coop bedding is completely dry, ground bits of plant material. It was softer than it looks – almost fluffy. It comes in a compact brick that expands as you start to dig your fingers into it. It’s not like wood chips, which stay relatively dense, even after you spread them around. Ground hemp almost puffs up, the way shredded newspaper does. I’ve used wood chips before in the chicken run area, and I have friends who use straw. While wood chips aren’t a bad option (especially when you can find them for free from tree removal companies in the summer), I have a difficult time working with them bare-handed because of splinters and pokey chunks of wood. Wood chips can also be large, meaning not as much surface area for absorption. They also take longer to break down in our compost pile. From what I’ve seen and heard of straw, it works very well when it’s fresh and dry – but you can go through it fast. It quickly gets soggy and needs changing or another layer. In my experience, hemp bedding doesn’t hurt/scratch/poke my hands. While it looks like it would be sharp, it’s deceivingly soft on your skin. It has also been holding up well. But to be completely transparent, it’s still cold & winter as I write this review. 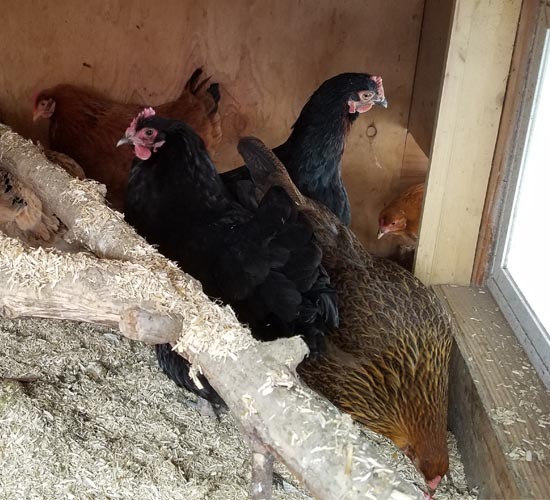 As soon as I toss a layer of fresh hemp bedding in the hen house, the girls form a line on their ladder, pushing each other to get back inside the coop to check it out. They seem to enjoy it, scratching through, occasionally picking out pieces to eat while mixing a new layer of deep-litter compost bedding. 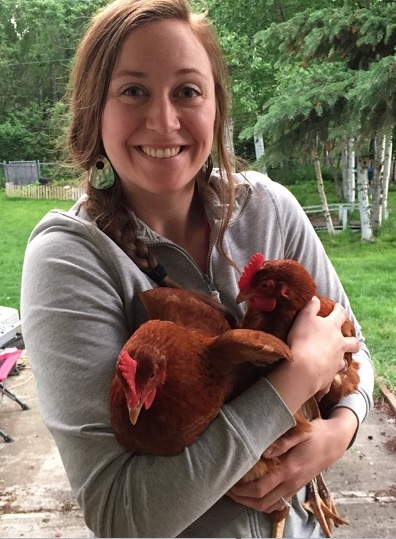 Chickens eat everything – dirt, rocks, dead grass – anything they can fit in their beaks. When I used wood chips, they would scratch through and pick up small bits to eat. Same with birch leaves. A little hemp in their digestive system doesn’t scare me. Although I wish I had saved more dried birch leaves from the yard last fall (free bedding is the best! ), purchasing hemp bedding from a local supplier is a close second. Overall, I’d give hemp a positive review. If you’re buying bedding, I definitely would recommend giving hemp a try & seeing if it works as well for your chickens as it did for mine.